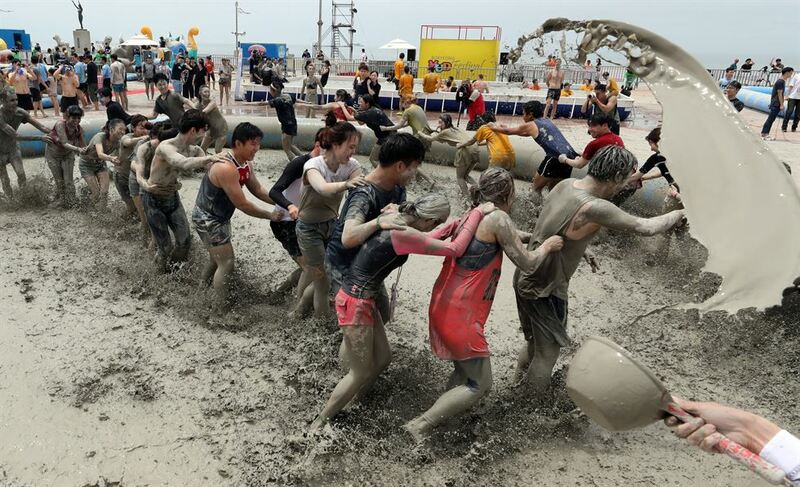 The Boryeong Mud Festival in South Chungcheong Province, one of the country's most popular summer festivals, will run through July 22. 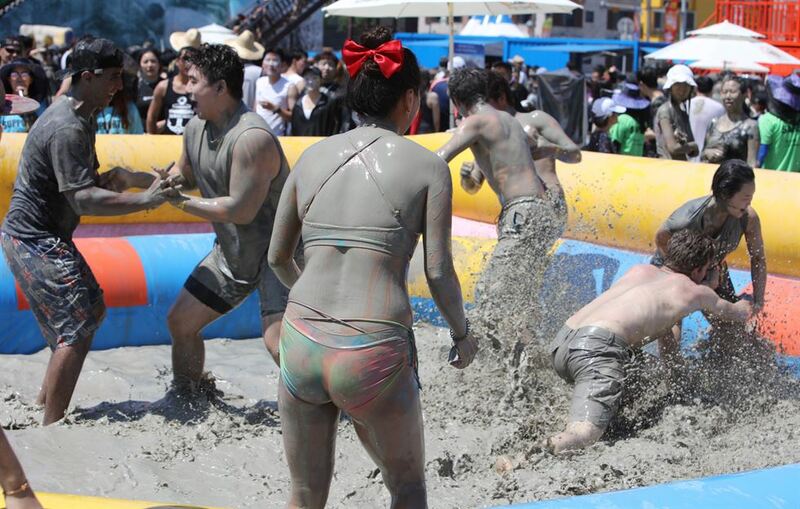 The festival provides a variety of activities for visitors to roll and splash in mud. 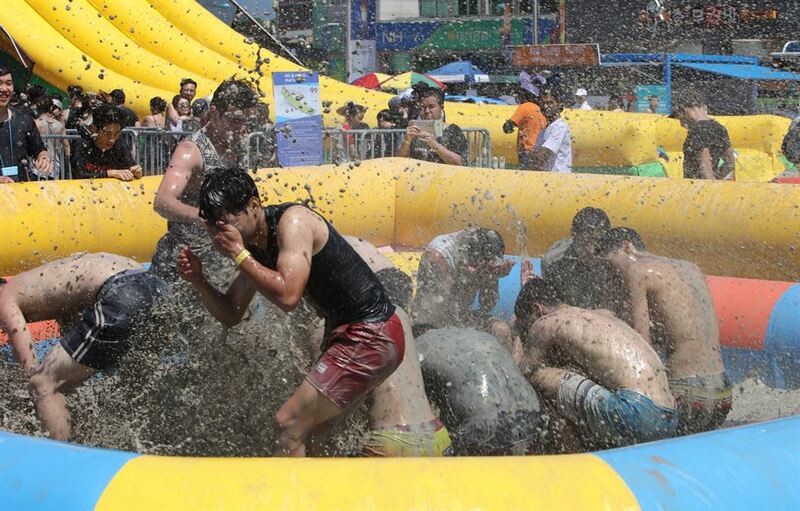 Visitors can also register for mud wrestling, football, marathon and other games (www.mudtour.co.kr, phone: 041-932-2900). A K-pop concert featuring Jessi, Rhythm Power 9Muses and Baechigi will entertain visitors at the closing ceremony on July 22. Last Saturday's opening ceremony K-pop concert featured Vixx LR, Dynamic Duo, Eddie Kim, Jang Jae-in, A.C.E and Cheetah. 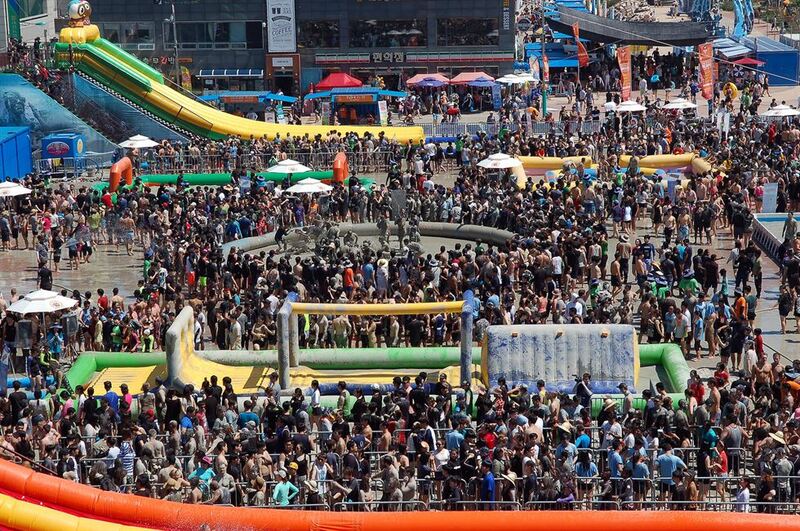 On Korea's west coast at Daecheon Beach, the festival draws more millions of visitors each year. Out of 5.68 million visitors last year, 628,000 were foreigners, according to the Boryeong city government. This year, the festival offers a 40 percent discount for foreign visitors on weekdays. 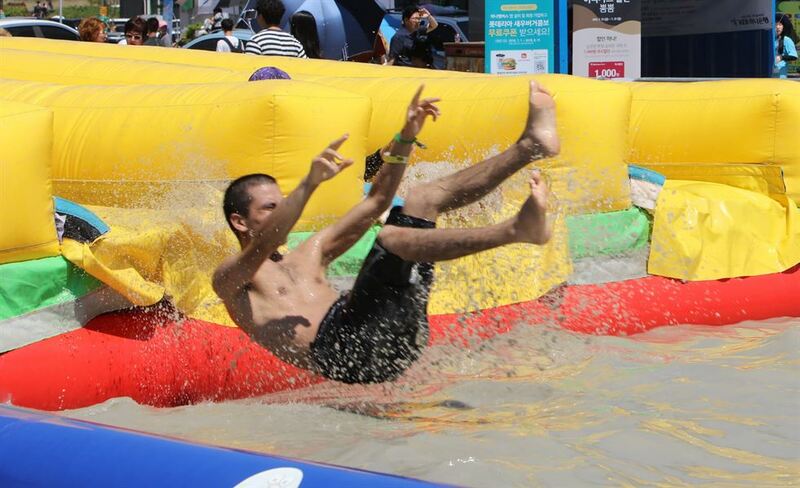 The entrance fee for the regular experience zone is 12,000 won ($10.64) on weekdays and 14,000 won on weekends. 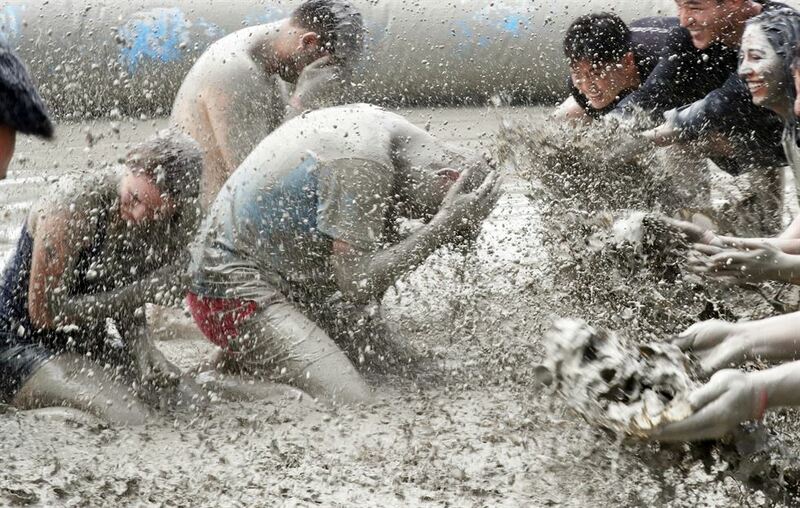 Hey, this mud slide's not bad.